Women’s FEST and succession plans come together through teamwork. Spring is in the air and at CAMP Rehoboth that means Women’s FEST is in bloom! Created in 2001 as a half-day conference, the now four-day festival has established itself as CAMP Rehoboth’s premiere springtime event. Much of the success of FEST (Fun Entertainment Spring Tradition) can be attributed to the dedicated group of women who’ve made the event happen smoothly year after year. From its pioneering planners (Fay Jacobs, Ellen Feinberg, Joan Glass, Lesley Rogan, Maggie Shaw, Andrea Andrus, Maggie Ottato, Libby Stiff, and Bea Wagner), some of whom remain active with FEST today, to the current co-chairs, Nancy Hewish, Dottie Cirelli and Fay Jacobs, strong leadership has remained constant and is a testament to its 19-year longevity. Along with a large supporting cast of volunteers, and Broadwalk on the Boardwalk chair (and fellow Board member) Kathy Wiz, we know this year’s FEST will reach even greater heights. On behalf of a grateful CAMP Rehoboth family, our heartfelt thanks to all of you! It truly takes a village. Speaking of a village, the efforts by the Succession Committee to commence the search for a new Executive Director (ED) continue. I expect to have more to report after our next meeting, as we judiciously chart our path. To that end, and in our efforts to keep you informed throughout the process, the community members recently named to the Search and Transition Committees will be highlighted in this and upcoming issues. This column features two of the women serving in this capacity: Joyce Felton and Linda Gregory. As a founding member of the Sussex County AIDS Committee in the early 1980s, Joyce Felton has devoted her life to service. She has been part of CAMP Rehoboth from the beginning, with support and advice, and was an essential member of the Sundance production team from the outset. In addition to establishing several prominent restaurants, perhaps her best-known contribution to Rehoboth Beach history was the creation of the Blue Moon (1981) and working to see it become a quintessential part of the community. Linda Gregory is a retired educator of 30 years, having worked in various roles both at the K-12 and college levels. Upon retiring, she took a newly-formed position as a case manager for LGBTQ youth within Big Brothers Big Sisters DE, where she vetted potential youth mentors for the organization, as well as for school GSAs (Gay Straight Alliances). Linda, we couldn’t agree with you more! 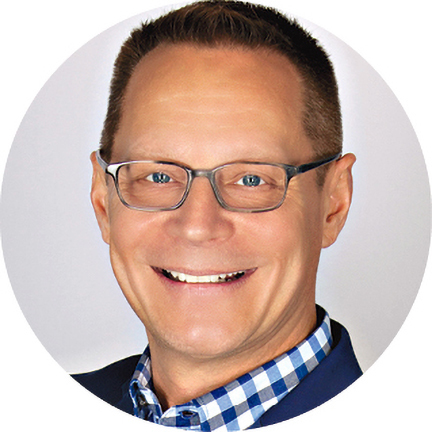 Chris Beagle is President of the CAMP Rehoboth Board of Directors and is a realtor at Berkshire-Hathaway-Gallo Realty in Rehoboth Beach.